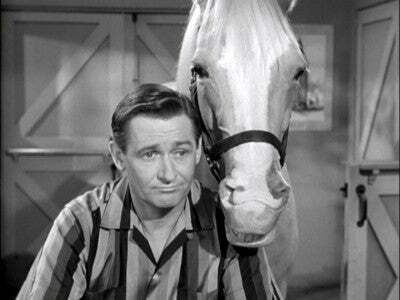 RUSH: (Mister Ed impression) There’s Willlllburrrrrrr. RUSH: Got four minutes here, 3-1/2 to get this done. THE PRESIDENT: — we’re going to get on to this ridiculous situation that took place over the last week. So, Secretary Ross? WILBUR: Thank you, Mr. President. We — we — we believe we are relatively close to a pretty comprehensive resolution with the South Korean government. It — it will encompass, if it goes through, both the 232s and broader trade issues. Uh, and we hope by sometime next week to be able to have a real announcement. RUSH: Oh, that’s great. The 232s. Cool! THE PRESIDENT: Thank you at a very much, Wilbur. I appreciate it. THE PRESIDENT: The (pause) last time we negotiated something like this — and, as you know, it’s always been a problem for our country — they get together and they create a series of documents that nobody’s been able to read because it was… It was just done. Now, you tell me: Who can read that quickly? It takes a long time to read it. For the last eight years, deep defense cuts have undermined our national security, hollowed our… If you just… If you look at what’s taken out, they’ve hollowed our readiness as a military unit and put America at really grave risk. My highest duty is to keep America safe. Nothing more important. The omnibus bill reverses this dangerous defense. As crazy as it’s been, as difficult as it’s been, as much opposition to the military as we’ve had from the Democrats — and it has been tremendous. I tried to explain to them, “You know, the military is for Republicans and Democrats and everybody else. It’s for everybody!” But we have tremendous opposition to creating really what will be the far — by far the strongest military that we’ve ever had. We’ve had that from the Democrats. So if we take something for the military, they want something for, in many cases, things that are really a wasted sum of money. It’s not right and it’s very bad for our country. We’re looking to do funding for our final fight in certain areas. As you know, we’ve gotten just about a hundred percent of our land back from ISIS. We have troop increases necessary to accomplish what we have to do, and we have — very importantly — a pay increase for our troops. And this will be actually the largest pay increase for our incredible people in over a decade. It increases total defense spending by more than $60 billion from last year and funds the addition of critically needed ships, planes, helicopters, tanks, and submarines. We have submarines being built the likes of which there’s nothing anywhere in the world like the submarines we build. Our military equipment is the best equipment in the world. RUSH: This is a set up for signing. THE PRESIDENT: — and with other countries. Saudi Arabia as an example is buying hundreds of billions of dollars’ worth of our equipment and we’re getting very fast approvals on that. Therefore, as a matter of national security, I’ve signed this omnibus budget bill. There are a lot of things that I’m unhappy about in this bill. There are a lot of things that we shouldn’t have had in this bill but we were in a sense forced if we want to build our military, we were forced to have. There are some things that we should have in the bill. But I say to Congress, I will never sign another bill like this again. I’m not gonna do it again. Nobody read it. It’s only hours old. Some people don’t even know — $1.3 trillion. It’s the second largest ever. President Obama signed one that was actually larger, which I’m sure he wasn’t too happy with, either. THE PRESIDENT: But in this case it became so big because we need to take care of our military. And because the Democrats, who don’t believe in that, added things that they wanted in order to get their votes. We have to get rid of the filibuster rule. We have to get rid of the filibuster rule and go to 51 votes in the Senate if we’re going to have really sustained, continued success. RUSH: McConnell is never gonna do that. THE PRESIDENT: — a lot of great legislation approved. And without the filibuster rule, it will happen just like magic. I want to address the situation on border security, which I call national defense. I call it stopping drugs from pouring across our border. And I call it illegal immigration. It’s all of those things. But national defense is a very important two words, because by having a strong border system, including a wall, we are in a position militarily that is very advantageous. And before I get off of that subject, I’d like to ask Secretary Mattis to talk about what we’ve accomplished in terms of the military because there has never been anything like we’ve been able to do. Our military is very depleted, but it’s rapidly getting better, and in a short period of time it will be stronger than it has ever been. So I’d like to ask Secretary Mattis to say a few words, please. MATTIS: Well, thank you, Mr. President, ladies and gentlemen. In 1790, in George Washington’s first annual address to Congress, he stated to be prepared for war is one of the most effective means of preserving the peace. As the president noted, today we received the largest military budget in history, reversing many years of decline and unpredictable funding. And together we are going to make our military stronger than ever. We in the military are humbled and grateful to the American people for their sacrifices on behalf of this funding. Now, it’s our responsibility in the military to spend every dollar wisely in order to keep the trust and the confidence of the American people and the Congress. Thank you. RUSH: Mad Dog Mattis there. THE PRESIDENT: Thank you very much, General. The border, we’ve worked very hard on. We have a lot of, really by any standard a lot, but not by this standard, but we’re going to make it go a long way. A lot of money coming to the border, and it will be coming over a period of time. We funded the initial down payment of $1.6 billion. We’re going to be starting work literally on Monday on not only some new wall — not enough, but we’re working on that very quickly — but also fixing existing walls and existing acceptable fences. There are some areas that you have to see through, you have to be able to see through the other side in order to see what’s coming. And in many cases, it’s not a pretty picture when you look. But you have to be able to see it. So we have $1.6 billion for the wall that will start immediately. 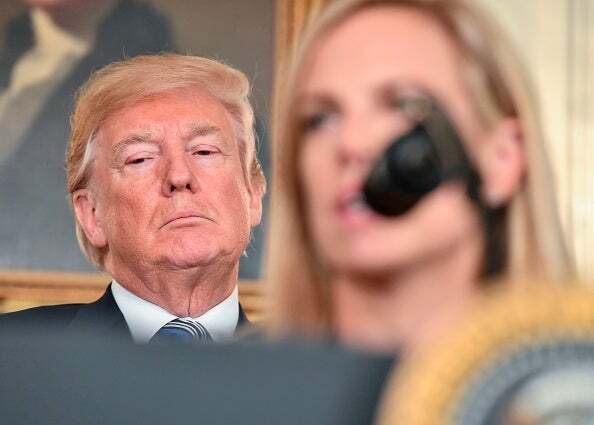 This is a short-term funding, but it’s immediate, starts immediately, and I’d like to ask secretary Nielsen to say a few words about what we’ve done in terms of Homeland Security and what the bill does for Homeland Security. Thank you. NIELSEN: Good afternoon. We at the Department of Homeland Security work very closely with the Department of Defense and we support in omnibus in the defense of our country. As the president has stated, under his leadership he has delivered for the American people. This is a down payment on a border wall system. This is a 10% increase for immigration customs enforcement. This will help improve our aviation security with some badly needed upgrades. We look forward to working with Congress on additional needs that we have. I will say, however, that it’s fortunate that Congress choice not to listen to the men and women of DHS and those on the front lines. They told us how to build the wall, where to build the wall and we will continue to work with them to make sure that the wall is where we need it, how we need it, as the president described, and to make sure that deserves the American people and serves the security of this nation. We also will continue to work with Congress to close the dangerous loopholes that the president has mentioned many times and to continue to increase our overall security. And finally, we thank those in Congress who support the Department of Homeland Security. I will continue to make myself available to them. I look forward to working with them, but we must fund the department and give it the tools and resources it needs to execute the mission the American people have asked us to do. Thank you. RUSH: It’s being cut. I don’t get this. THE PRESIDENT: Thank you very much, Secretary. So we have many elements in the bill that we want. Just to look at a few of them, we’re providing $654.6 billion in total discretionary funding for defense. It’s a record. All records for defense. There will be nobody that says that our military is going to be depleted like they’ve been saying over the last long period of time. Long period of time. Frankly, beyond President Obama. That won’t be happening. RUSH: Does this sound like a celebration to anybody? THE PRESIDENT: — nuclear, our nuclear systems to upgrade and in some cases brand-new, whether it’s submarines, nuclear submarines, and others. So we’ll have by far the most powerful nuclear force on earth, and it will be absolutely in perfect shape and condition and hopefully, praise be to God, we don’t ever have to use it. But there will be nobody that’s even close. This will give a substantial increase to people even outside of the military, but military related. Some of the many things that we’re buying in the military, we have $23.8 billion to procure 34 Navy ships. Our Navy is at the lowest point in terms of ships than it’s been in over a hundred years. And we’re adding a significant number of extremely advanced vessels. $10.2 billion for 90 F-35 aircraft. That’s the most sophisticated aircraft in the world, jet fighters, total stealth. They’re hard to find, they’re hard to see, therefore they’re hard to beat. It’s very tough to beat a plane when you can’t see it. It’s the most advanced in the world. $10.2 billion for 90 F-35. We have $2.9 building for 15 CK-46 tanker aircraft. The tanker aircraft is very important based on everything. It allows our planes to travel anywhere in the world without landing, $1.8 billion for 24 FA-18E/F Super Hornet aircraft fighter jets, $1.7 billion for 10 PA — the Poseidons, incredible stuff, $1.1 billion for 56 UH-60 Black Hawk helicopters, most advanced helicopter in the world by far, fighting machine, $1.1 billion for the upgrade of 85 Abrams tanks, $705 million for the cooperative programs that we’re working with Israel and others on various missile defense systems. We’re spending a lot of money on missile defense. We have a lot of offense that’s been recently installed. We’re spending tremendous money on missile defense. You understand what that means; everybody does. With what we have out there, missile defense is very, very important. We are funding our border patrol agents and our ICE agents. They are working long hours under tremendously dangerous conditions. We’re adding large numbers of immigration judges, high quality judges. Not only are we adding them in the district court level and the federal level of court of appeals, but we’re adding immigration judges at a very high level. So while we’re very disappointed in the $1.3 trillion, nobody more disappointed than me because the number is so large, we’ll start coming down, we had no choice but to fund our military. RUSH: Just stab me in the back. THE PRESIDENT: — we have to also know that there are a lot of strings pulling everybody in different directions. RUSH: Stabbing me in the back. 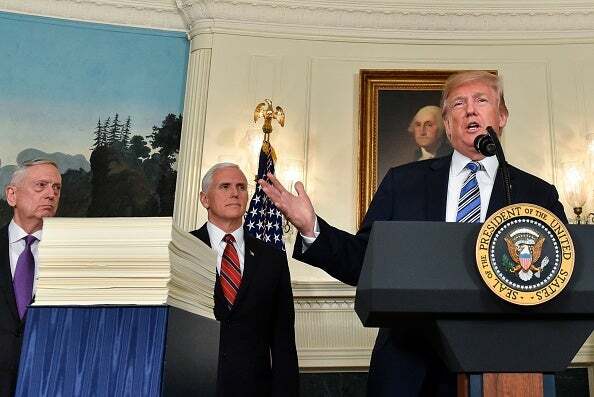 THE PRESIDENT: The Republican senators, the Republican Congress, men and women have been steadfast on their fight for the border and steadfast for their fight on the military. RUSH: And stabbing me in the back. THE PRESIDENT: We’re also spending $6 billion on, as you know, various forms of drug control, helping people that are addicted. It’s a terrible problem. But this will be also — this will be a record. We’ll be suing certain drug companies for what they’ve done with the opioids. THE PRESIDENT: And we’ll be bringing the suits at a federal level. RUSH: Nobody’s ever done it before. THE PRESIDENT: The level of drugs that are being put out there and the power of this addiction is hard to believe. People go to the hospital for a period of a week and they come out, they’re drug addicts. There has to be a better way. Doctors are way down now in their orders of the opioids, way down. It’s a great thing. THE PRESIDENT: — we’re extremely proud of what we’ve been able to do when it comes to our military. Our military will be far superior than to any military anywhere in the world. That’s very important for us. You see the players out there. You see what we’re dealing with. We are very happy with what’s happened with opioids. We’re very happy with what’s happened with certain elements of the border. THE PRESIDENT: — Republicans are much more on your side. THE PRESIDENT: — than the Democrats, who are using you for their own purposes. With that being said, I just want to thank everybody for being here. THE PRESIDENT: We’re very proud of many of the items that we’ve been able to get. We’re very disappointed that in order to fund the military, we had to give up things where we consider in many cases them to be bad or them to be a waste of money. That’s the way unfortunately right now the system works. But we have a great country. We are going to have the greatest military we’ve ever had and lots of good things are happening. The trade situation we’ll be talking about next week, we have many trade deals, not only the deal being made on South Carolina, which looks like it’s very close to being finalized. RUSH: That’s what Wilbur told us. THE PRESIDENT: — other countries are now negotiating fair trade deals with us so we’ll be rolling them out as you see them. And part of the reason, frankly, that we’re able to do that is the fact that we have the tariffs on steel and the tariffs on aluminum, because it showed how unfair some of these trade deals that have been in existence for many years, how unfair they’ve been. So it will be great for our country and, frankly, it will also be great for other countries and it will be fair and it will be reciprocal. Thank you all very much. I appreciate it. 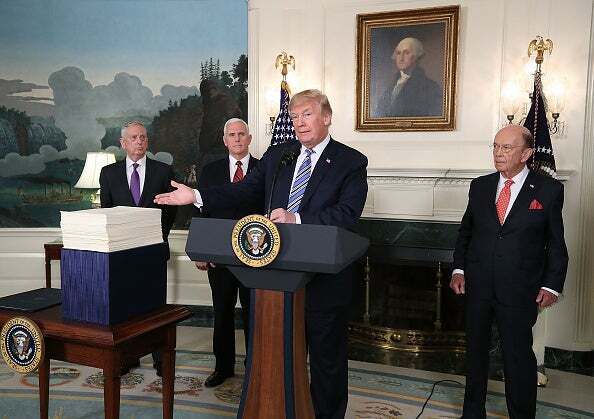 RUSH: There you have it, that’s the president and his announcement that he is signing the omnibus budget deal, a record amount of spending for the military, best military, best spending, best record ever. And it’s never gonna happen again, though. Doesn’t like any other stuff in this, it’s never gonna happen again.